WATCH Who is Nikki Haley? Nikki Haley is a child of immigrants who rose to become South Carolina governor and then President Donald Trump's ambassador to the U.N., before her resignation Tuesday. She will leave her U.N. post at the end of the year. Haley, whose parents were from India, brought diversity to the administration and Trump's naming her to the post showed he was willing to welcome Republicans who had been lukewarm toward him during the presidential campaign. Haley had little experience in international affairs prior to her appointment. But she quickly became a prominent voice for Trump's foreign policy. What she used to do: Governor of South Carolina (since 2011). She served in South Carolina House of Representatives from 2005 to 2011. She was the first female governor of South Carolina and was at the time also the youngest governor in the country and only the second person of Indian descent to become a governor in the U.S. (after Bobby Jindal of Louisiana). Haley was chosen to give the Republican response to President Obama's State of the Union address in 2016, and in it she urged members of her party to resist following the “angriest voices,” which was seen as a subtle jab at Trump, even though she didn’t refer to him by name. ABC News’ Jon Karl subsequently asked her what makes Trump “one of the angriest voices,” and Haley pointed to his call to temporarily bar foreign Muslims from entering the U.S.
She gained national prominence in 2015 when she removed the Confederate battle flag from the South Carolina Capitol grounds. 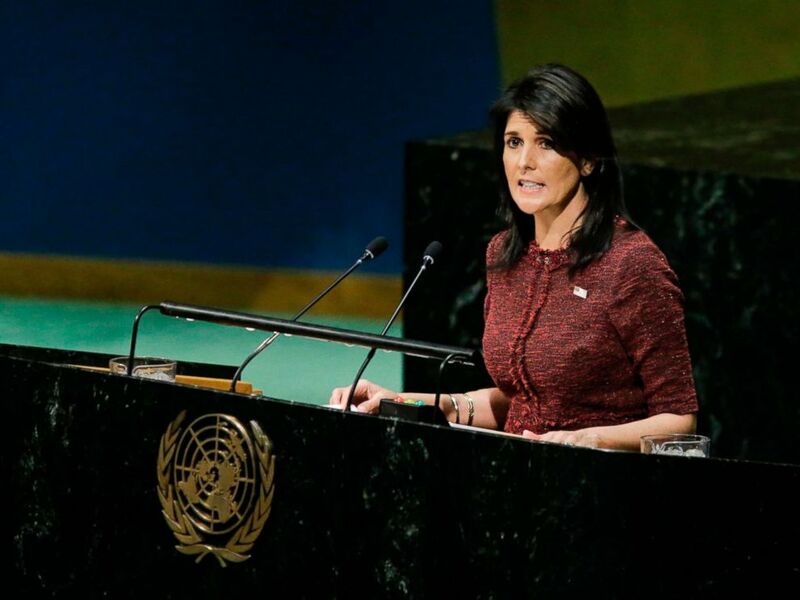 At the U.N., she became known as a strong voice on dealing with North Korea and Iran, all the while building a reputation on the world stage as someone who was also able to offer tempered guidance.